As I write this, the Oakland A’s are eyeing not only a playoff spot, but a Western Division Championship. 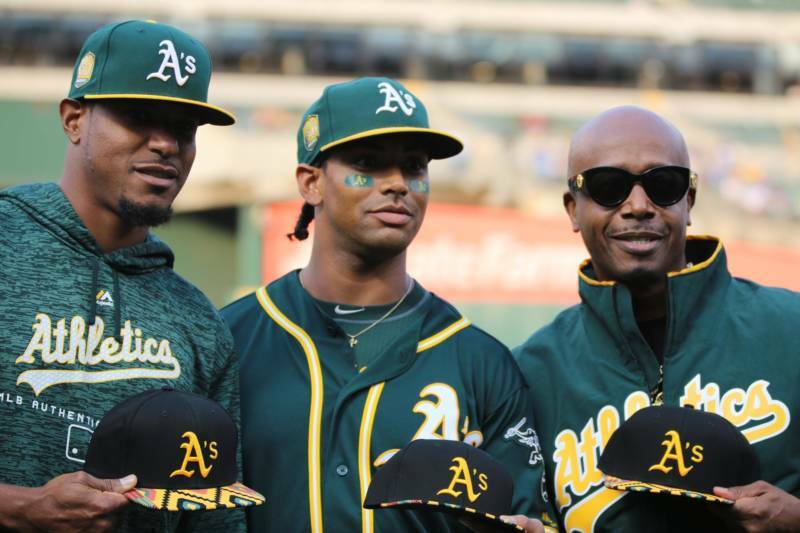 This historic season, their 51st in Oakland, has been nothing short of magical: consistent late-game heroics, a thrilling no-hitter, and much more to inspire fair-weather fans to break out their green and gold and jump aboard the bandwagon as we head toward October. For us A's fans, we've been here before. We've had that sense of uplift in the fall, and then that all-too familiar sinking feeling in October. And, constant as the stars, we keep returning to the Coliseum, year in and year out, sticking by this team. After 50 years in Oakland, it's time to look back at what the team's contributions to baseball. 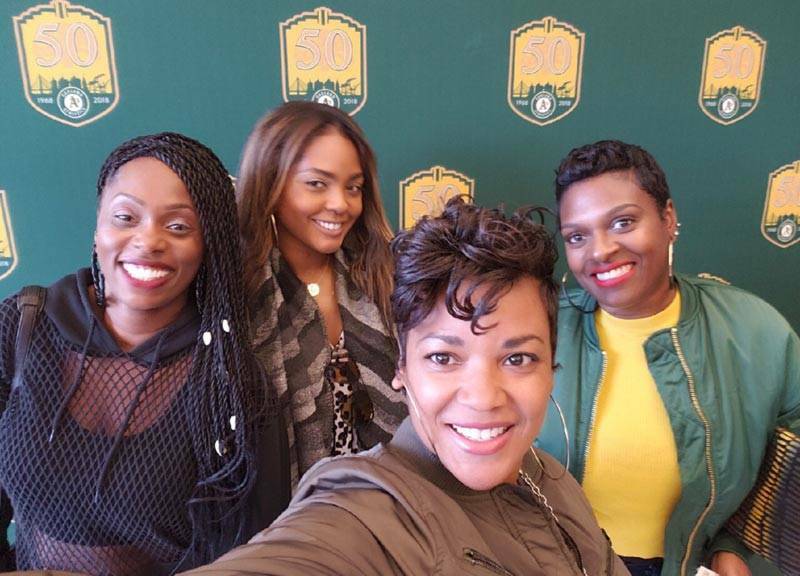 And, as the major leagues slowly lose African American players, it's especially time to recognize what the A's have meant to the black community at large. 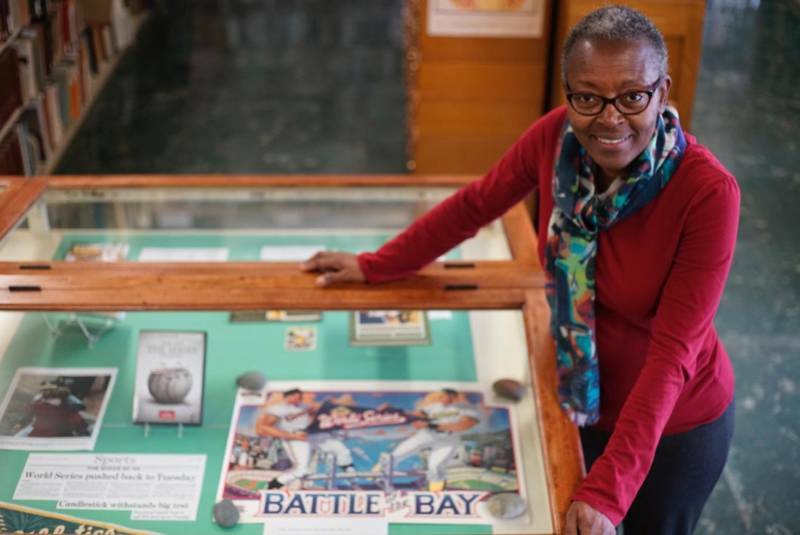 I leaned over in the 100-plus year-old chair and asked Oakland Library historian Dorothy Lazard if it’s possible to tell the story of baseball, America’s great pastime, without mentioning Oakland—specifically, the black community in Oakland. Curt Flood was the longtime St. Louis Cardinals player who fought for pro baseball players to have the right to be free agents. Prior to his case, which was decided by the Supreme Court, players had lifetime contracts, and only switched teams when owners traded or sold their rights to another squad. Lazard could’ve stopped there. Her point was proven. I mean, who’d think Flood, a kid who went to little ol' McClymonds High School in West Oakland, would change the business of professional sports? But then, even more so, who’d think one of his schoolmates who he walked past in the hallway, Frank Robinson, would become the first African American manager in baseball history? Right. So you could stop there and the point would be proven: You can’t talk about professional baseball in America without talking about the African American community in Oakland. But then, again, you'd be missing the story of Rickey Henderson, the Oakland-bred MLB record holder for stolen bases, famously quoted as saying, “Everything I know about stealing, I learned in Oakland.” Henderson, considered by many the greatest leadoff hitter in baseball history, is a graduate of Oakland Tech, and now has a field there named in his honor—in addition to the diamond where the A’s play, which bears his name. There’s more. 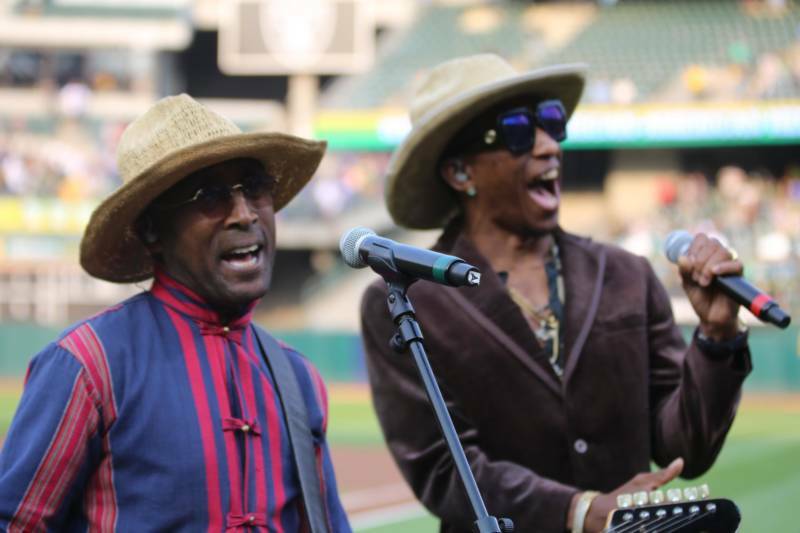 Like the story of an Oakland kid named Dave Stewart, who grew to be a Cy Young Award-winning A’s pitcher, who’s part of the A’s Black Aces club—a group of African American A’s hurlers who won 20 games or more in a season. There’s Bip Roberts, Jermaine Dye and so many more. I’d even give honorable mentions to Jimmy Rollins, Dontrelle Willis and Willie Stargell; all were Alameda residents, technically. But we all know: to leave Alameda, you’ve got to go through Oakland. Claxton, who was initially thought by team management to be Native American, reportedly played two games before his African American ancestry was discovered, prompting his release. But it was too late. Not only was he in the record books as being a professional ballplayer, his photo had been taken and placed on a trading card from the Zeenut company. You also might include Vada Pinson, another McClymonds High kid who went on to a great MLB career playing 18 seasons, most notably for the Cincinnati Reds. He never did play for the A's, but his heart stayed here; he died in Oakland in 1995. The history of African American ballplayers from Oakland, and those who’ve played in Oakland, runs deep. And it’s still going. The A's currently have some great ones, including Khris Davis, who's among the top home-run hitters in the league. And there’s the current story of the Ross brothers, Joe and Tyson, childhood friends of mine who currently play pro ball. Back when Tyson played for the A's, he wore the number 66, as a nod to the diamond on 66th Avenue, Greenman Field, where we used to play tee-ball together. Yeah, I used to play baseball. I was a second baseman, short and fast. 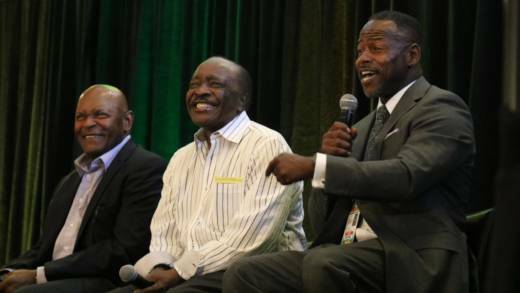 And I studied those built like me—like Joe Morgan, an East Oakland kid who became a Hall of Famer. As a kid, I took pride in knowing all about African American ballplayers. After all, there weren’t—and still aren’t—too many of them. 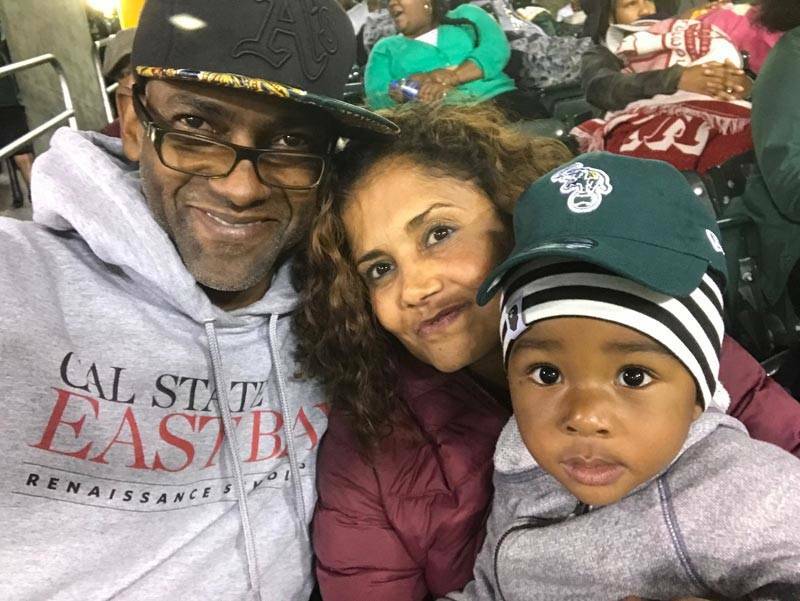 So, when the Oakland A’s celebrated African American heritage last week during a game against the Dodgers, giving away hats with African print on the bill, I stood up and took notice. They’ve done community service and donated to causes. They’ve organized pick-up games at neighborhood ballparks (the next one is at 9am on Aug. 25 at Garfield Park, 2260 Foothill Blvd., in Oakland). Hell, they even made personal phone calls, inviting folks to the African American heritage night—both my mom and I got calls. I don’t know how they got our numbers, but I do know that their efforts aren’t going unrecognized; there are new graffiti murals on major walls around Oakland dedicated to the A’s. On top of that, they have a really good ball team. I watched the game from home, tuning in just as Joe Morgan was brought on as a guest announcer. He discussed being short and using it to his advantage. He talked about winning championships with the Reds, and his short stint with the A’s. And he touched on the African American community of Oakland. 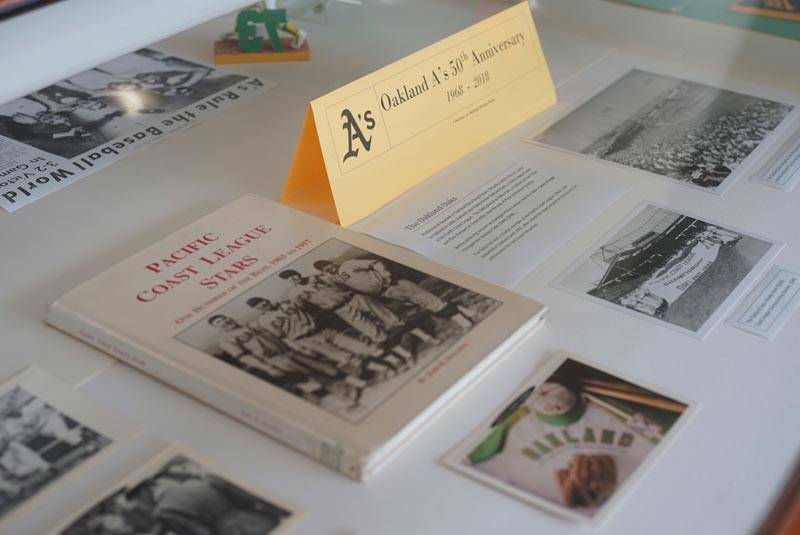 The next day, I went down to the Oakland library, where there’s currently an exhibition dedicated to the anniversary of the A’s move to Oakland. “Who curated this exhibit?” I asked in a library safe tone, as I walked into the history room. “I did. You know I curate all the exhibits here,” Dorothy Lazard said with a smile. As we walked through the room, she narrated her thinking behind the content in the three cases. Lazard had gathered A’s memorabilia, books and photos. She strategically put the lowlights of the steroid era next to the highlight of the Moneyball era. She wrote brief stories recapping how A’s mascot Stomper, “the white elephant,” came to be. She found a poster from the 1989 World Series against the Giants. She told me about the franchise’s former owner, the eccentric Charlie Finley, and how he paid players $300 extra if they grew mustaches. And then I saw a news clipping that echoed Lazard’s sentiment about the value of Oakland’s African American community and African American ballplayers who’ve come through the Town. There's no new stadium yet. But this week, the A's announced the opening of a hall of fame dedicated to Oakland ballplayers. I hope the A's get that new stadium soon. I hope they make it deep into the playoffs this year. And lastly, I hope that the Oakland baseball hall of fame opens its doors to all the great ballplayers who have roots in this area. How cool would it be to see an authentic Jimmy Claxton card enshrined there? 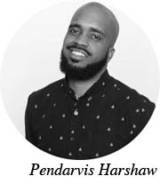 Pendarvis Harshaw is the author of 'OG Told Me,' a memoir about growing up in Oakland. Find him on Twitter here.